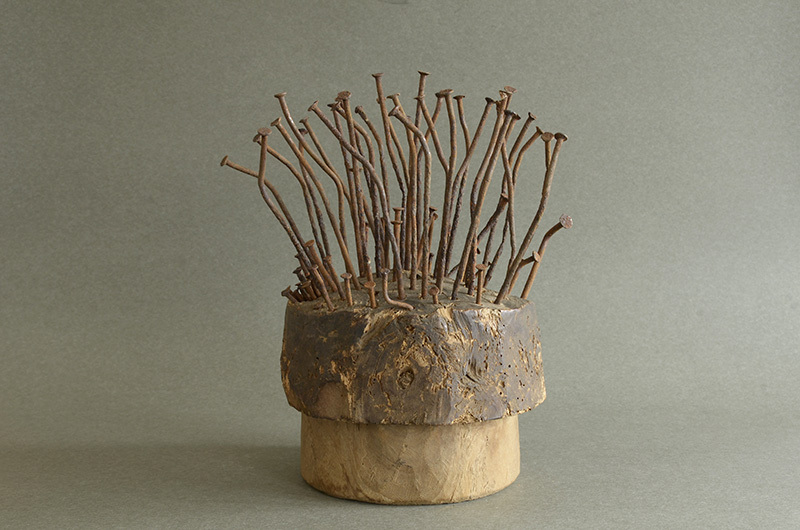 Lid of tea canister (Dealer: Jinta) – Wood and nails. Wild and powerful. Must be nice to gaze it at tranquil tea ceremony. Original craftwork by Jinta using to make old readymades its materials.